Mr Blynk wishes you a Merry Christmas and Happy New Year! We are sure you’ll are busy planning your Christmas and New Year bash. Just a merry reminder that the customization options in your app, powered by Blynk, can let you a create a festive feel for your app too. 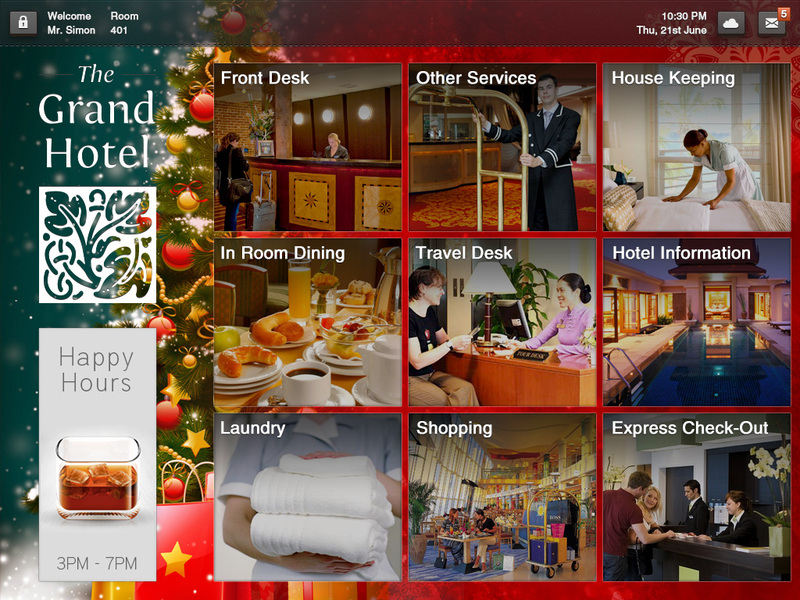 Like your hotels must be decorated, simply change the background of your hotel app to give your guests that merry Christmas feeling.